Judging by the Cover – 4/17/19 new releases – AiPT! Dave and Eric share their favorite covers from the week’s new comics. Exploitive? Sure, but so very well done. Plus these women aren’t in any submissive stances and instead are showing their bond and that they’re in this together. I like how the alien world creeps up on the bottom with an eerie mist behind them. The women are practically naked, but they’re also feeling empowered. How rad is this cover? I love how the head is a heavy mass like a rock Punisher is standing on. The teeth are broken off and bullets are laid out in front of him. He took this giant out and moved on casually. Frank is a badass with a gun smoking, but also many pouches and a bow on his back. Get some Frank. Get some! The use of negative space is unreal with this cover. Skin and background meld into one making this like a Frank Miller style tearaway cover but in red, black, and yellow. The use of color makes these characters seem otherworldly until you notice the pentagram and start to wonder if there’s something more nefarious afoot. What great use of white space! The silhouette is imposing, doesn’t look forced at all, and calls the towering Frankenstein’s monster to mind without needing to depict him, or even his neck volts, outright. The composition is really well-balanced, including the coloration. The blue buildings and the (…what color even is it? Some sort of violet?) sky are both lovely. All in all, this image is just pleasing to the eyes. 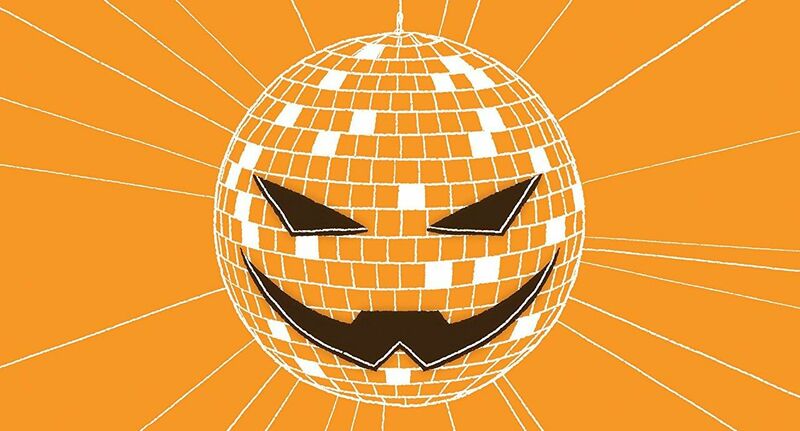 What is there to say besides that the use of the pumpkin bomb as a disco ball is fantastic? Zdarsky does a great job clearly conveying the ’70s setting without relying too heavily on a lot of the decade’s most commonly reference motifs (the fashions, the patterns, etc.). The largely monochromatic coloration is simple, pleasing to look at, and ensures that the few white and black touches pop out effectively. The composition is very well laid out as well. Show me a Chris Bachalo cover and there’s always a great chance of my picking it for JbtC. Bachalo does a great job conveying chaos here with all the overlapping, contorting bodies as the students take their aggression out on one another. The sole exception? Glob Herman, clinging onto a chicken in the foreground. Love it. The lack of solid black lines on most of the faces contributes to the sense of frantic energy, and the blues and pinks contrast against each other well. All in all, this is a good fight cover.